The world's second largest coffee chain is going solo as it prepares for a major international expansion. UK company Whitbread announced plans on Wednesday to spin off its Costa Coffee brand within two years. Whitbread will hold onto its other major business, hotel group Premier Inn, while the coffee chain will get its own stock market listing in London. 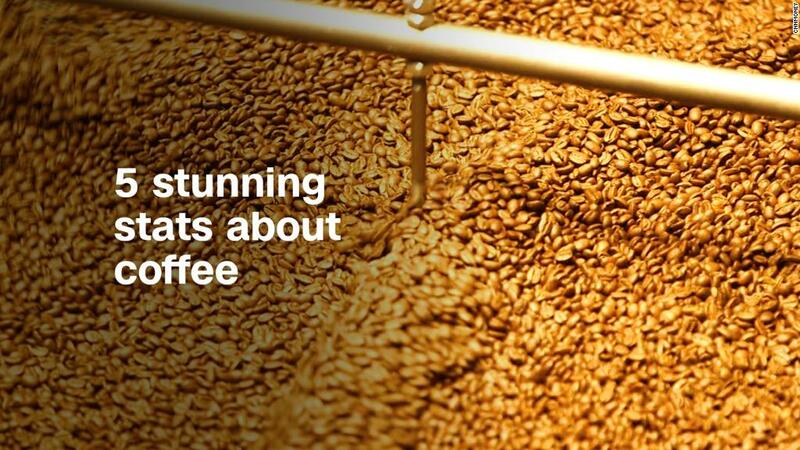 Costa has over 2,400 stores in the United Kingdom, and 7,000 "express" coffee machine kiosks. It has another 1,450 stores spread across 31 foreign markets, including 450 in China. With sales flagging in the United Kingdom, Costa is now looking to international markets to fuel its growth. The spinoff, which follows a campaign by activist investors, could help. "Costa will ... be well positioned to build further on its strong international foundations with growth expected in China and Costa Express," CEO Alison Brittain said in a statement. Research firm Euromonitor estimates that global sales at specialist coffee shops increased 50% over the past five years to $58 billion in 2017. China, where sales have more than tripled over the same period, is one of the hottest markets. Despite opening hundreds of stores in China, Liberum analyst Anna Barnfather said that Costa has not yet established a highly profitable operation in the country. That could change soon. Costa bought out its joint venture partner in south China in October, taking full control of the business. "I think the [China] market is vast enough for a number of international brands," said Barnfather. Still, the UK chain has a long way to go before it can compete with industry titan Starbucks (SBUX). Global sales at the US company hit $22.4 billion in 2017, compared to £1.2 billion ($1.7 billion) for Costa. Starbucks has 3,200 locations in China alone and is opening a new shop in the country every 15 hours. Costa is looking to foreign markets as sales slide at its stores on main streets in Britain. The number of customers visiting UK main streets has declined as shopping shifts online, a trend that has hurt coffee sales. Rising inflation has also harmed Costa and other food sellers. Barnfather warned in a research note that subdued shopping conditions and higher inflation in the United Kingdom could complicate the separation.